Albums are meant to be reviewed immediately – within the urgency of the moment in space and time. But there is something to be gained from reviewing an older album from a new perspective. For a young, independent band, it is interesting to see which songs from an older record still make it into current setlists. It is perhaps more interesting to see which didn’t, and guess why. 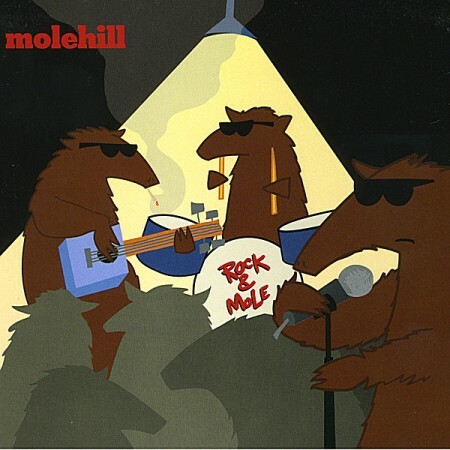 I experience Rock & Mole, the 2007 release of Chicago rockers Molehill, in this way. Certain songs, such as “I’m Okay” and “Let’s Not Get Sentimental” jump out at me because I recognize them as openers or closers in the live show. Other songs, however, either do not get played anymore or simply have a larger effect in the privacy of my ear-buds. The dynamics of “All I Am,” for instance, are so striking in the context of the record but I cannot remember for the life of me if I’ve seen it played live. The eternal struggle between rock shows in loud clubs and the good slow or soft songs they write rages on. Usually the quiet songs lose in the live venue, but Rock & Mole is a good reminder that they can exist and thrive in the studio.